TOBIN-Stamped Cross Stitch. 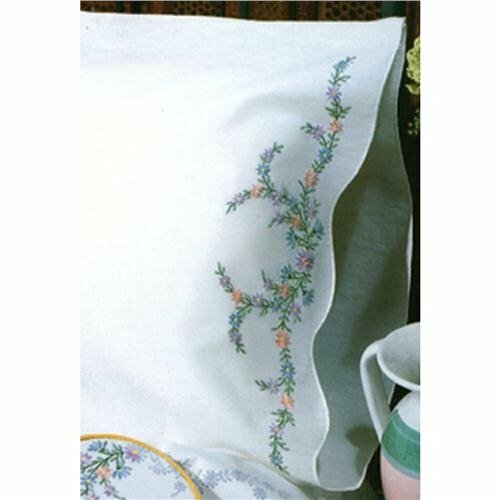 This package of two standard sized pillowcases feature designs that are stamped on 180 count white poly/cotton fabric and trimmed with pearl edges. Design is printed with easy to follow blue ink that will easily wash out. Package also includes a floss shopping list. Design: Reflections. Made in USA.